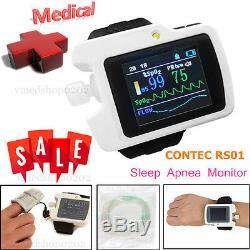 RS01 Sleep Apnea Meter Respiratory Monitor+PC Software. 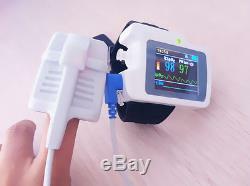 The RS01 device is suitable for the one who suffers with such diseases as SAHS (sleep apnea-hypopnea syndrome), Its functions including patients sleep apnea monitoring and SpO2 monitoring, which can be applied in hospital or at home. 1SpO2 and PR value display, pulse sound and bar graph indication. 2Pulse waveform and nose flow waveform display. 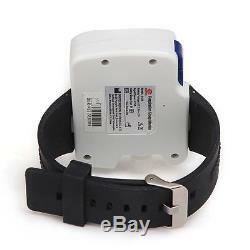 3Alarms for low power, finger out and exceeding limits. 8Continuous 12 hours data record. 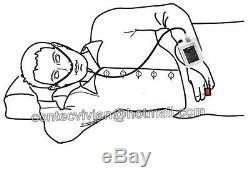 9Uploading data via USB port. Nose air flow measurement range: 0 rpm40 rpm, accuracy: ±2 rpm. 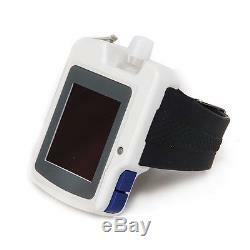 SpO2 measurement range: 0%100% (resolution 1%), accuracy: 70%100%, ±2; less than 70%, unspecified. 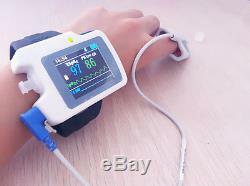 PR measurement range: 30 bpm250 bpm, accuracy: ±2 or ±2% (whichever is greater). Resistance to surrounding light: The deviation between the value measured in the condition of man-made light or indoor natural light and that of darkroom is less than ±1%. 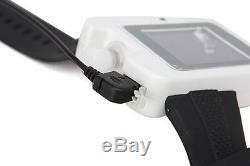 Power supply: 3.7 V rechargeable lithium battery. Safety type: internally powered equipment, type BF applied part. Two kinds of SpO2 probes. Dimension: 69 mm (L)×50mm (W) ×17.3 mm (H). Atmospheric pressure: 700 hPa1060 hPa. Atmospheric pressure: 500 hPa1060 hPa. Please leave me your clear address, telephone, postal code. All items will be dispatched within 2 business. We'd like to cooperate with you and declare the value of it as you want us to, so that it is more easier for you to clear the custom. We promise to do our best to help you! 100% satisfaction is our goal! If you have a defective item, you want to return or discount. The sale of this item may be subject to regulation by the U. Food and Drug Administration and state and local regulatory agencies. If the item is subject to FDA regulation. If you have questions about legal obligations regarding sales of medical devices, you should consult with the FDA's Center for Devices and Radiological Health. Contec Medical Systems focusing on research, manufacture and distribution of medical instruments, was founded in 1992 as a high-tech company. At present there are more than 1200 employees in our company. Our product line covers a wide range of 13 categories. Most of the domestic hospitals are our. Contec hopes to cooperate with international companies to supply more innovative design and advanced technology products. We sincerely welcome you to become one of our global partners. We are looking forward to establishing a successful business relationship with you. Contact person:Vivian Zhang---Skype:ContecVivian---WhatsApp/Mobile:+86 18617816016. Working time: Monday to Friday, 8:00 to 17:00. 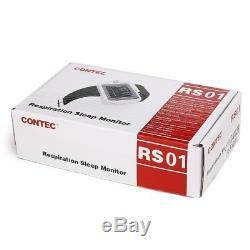 The item "CONTEC RS01 Sleep Apnea Meter SpO2 Nose Air flow Monitor Software Analyzer Alarm" is in sale since Tuesday, August 22, 2017. This item is in the category "Health & Beauty\Health Care\Sleeping Aids\Nasal Strips". The seller is "vmedshop0202" and is located in Qinhuangdao,Hebei. This item can be shipped to North, South, or Latin America, all countries in Europe, all countries in continental Asia, Australia.